For information concerning your eligibility for DC 37 Health & Security Plan benefits, call the Inquiry Unit at (212) 815-1234. The current hours of operation are Monday through Friday, from 8am to 5:30pm. The lines are very busy on Mondays and Tuesdays. The best time to call is later in the week, between 8 am and 9:30 am. 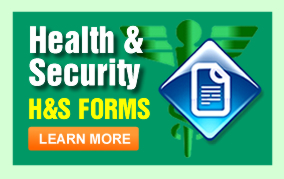 An enrollment form must be on file with the Health & Security Plan before you can obtain benefits. If you are a new employee enrolling a spouse (including a domestic partner or partner in a civil union) or dependent child(ren)in the Plan for the first time, then you must attach copies of your marriage certificate, domestic partnership papers, birth certificate(s) and/or guardianship papers of your child(ren) to your enrollment records form. You may obtain an enrollment form from the Plan office or you may click here to download this form and instructions. If you are a long-standing member and you recently married, added a domestic partner or recently became a parent, then you must complete a “Change of Status Form” adding your new family members to your file. Be sure to attach copies of the appropriate documents to the form before returning it to the Plan. You may request a Change of Status Form from the Plan office or click here to download one. If the change in dependent status is due to a death, separation, divorce or dissolution of a domestic partnership, you must notify the Plan office of this, on a change of status form, but documents are not necessary. If you are changing your status, please consider updating your beneficiary information by requesting a change of beneficiary form from the Plan office or click here to download the beneficiary form. To terminate your enrolled dependent(s) (age 19-26) for DC37 Health & Security Plan supplemental benefits, for any reason, you may obtain a “Termination form” from the Plan office or you may click here to download this form. Most of these benefits also cover your legal spouse (including domestic partner or partner in a civil union) and children (called dependents). Your “children” are all your natural or adopted children, no matter where they live (if you are responsible for their support), the children of your spouse (including domestic partner or partner in a civil union) who are living with you, and children for whom you have a legal order of guardianship or custody. These health-related benefits will be available to your dependent children up to the end of the month in which he/she reaches the age of 26; regardless of whether or not: he/she lives at home, is declared as a dependent on your tax return, is in school, is employed, or is married or unmarried. For dependents age 19-23, who wish to use the MELS benefit or the PSU benefit, they must have a letter from the Registrar’s office indicating the dependents current full-time status at the time these benefits are sought. Dependents are not eligible for the MELS and PSU benefits after age 23. A totally disabled child is covered regardless of age, as long as the disability, physical or mental, began before the child reached age 26 and the dependent is residing with the covered member. If the disabled dependent is at any point no longer totally disabled after his/her 26th birthday, as the case may be, he/she will thereafter be ineligible as a covered dependent even if a subsequent disability is a recurrence of a prior condition. In order to establish eligibility for a totally disabled child, medical records and/or clinical evaluation(s) must be submitted to the Plan office. You must apply for coverage for a disabled dependent within 6 months of the child reaching the age of 26. In order to facilitate enrollment, it is necessary that all forms and documents received in this unit have the member’s name, social security number or PID number on it. A member need only complete one enrollment form. All changes made after that form is on file, must be done on a change of status card (blue) or change of beneficiary form. All enrollment forms must be completed and signed by the member. Change of beneficiary forms must be signed and notarized. All change of status requests must have proper documentation attached (i.e., copy of birth certificate). A. Marriage—Submit a copy of the marriage certificate along with the change of status form. B. Separation/Divorce—Only change of status form is required. 1. Certificate of Domestic Partnership from the Office of the City Clerk, or “civil union” certificate. 2. Change of Status Form. 1. Alternative Affidavit, notarized and in compliance with state law. Once a Domestic Partner severs its partnership, the member cannot re-register with another partner until after six (6) months have passed. If a member becomes widowed, only a change of status form is necessary, indicating month and year of spouse’s death or call the Eligibility Enrollment Unit at 212-815-1620 to notify the Plan. If the member or a spouse (including domestic partner or partner in a civil union) gives birth, adopts, establishes a guardianship relationship with a child, or marries someone with dependent children, a copy of the birth, adoption papers or required guardianship documents must be submitted to the Plan. When a member completes an enrollment form a beneficiary is also designated for the Plan’s Death Benefit. If a member experiences status changes as indicated above, or a previously named beneficiary has moved or is deceased, it is recommended that the member consider updating the Plan’s records. Your beneficiary designation is effective on the date an enrollment form or change of beneficiary form is received at the DC 37 Health & Security Plan office. Divorce from your spouse or domestic partner will not revoke your designation. If you do not wish your ex-spouse or domestic partner to receive your death benefit, you must fill out a new change of beneficiary form. Please note that the Plan cannot release the name of your beneficiary to you by phone or in writing. You can call the Plan office and request a change of beneficiary form. This form should be completed naming your current beneficiary of choice, signed, notarized and returned to the Plan office. Once the Plan has received this change of beneficiary form it will replace all previously submitted named beneficiaries. When you retire, your job status changes and this can affect your Health & Security Plan benefits. You may be eligible to continue benefits as a retiree. If you are pension eligible, you must send a copy of your pension check stub (partial or full) along with a copy of your agency completed and signed health insurance benefits form (ERB2000 for city employees and PS404 for State employees) to the DC 37 Health & Security Plan, 125 Barclay St., NY, NY 10007 Attn: EEU or fax the copies to 212-298-9880. Failure to contact the Plan or provide the necessary documentation could result in a disruption of your benefits. If you are not pension eligible, but meet certain criteria in the following titles: Former Hourly Dept. of Education employee, Former School Crossing Guard or Former College Assistant, you may be eligible for a non-pensionable benefit package. Please call the Plan office for more information, 212 815-1234.